Looking for interior Boat Cleaning in Auckland? Do you want your voyage to be comfortable and to sleep soundly in a clean cabin? Do you want to refresh the carpets and upholstery in your boat after a few journeys ? Then book Alex Cleaning Solutions and let professionals make your boat carpets and upholstery look and smell good and be clean again. Why not do boat valet cleaning when you’re having repairs and maintenance done or docked in the marine for a time? The ideal time to valet your boat is when it’s having repairs or regular maintenance done. Alex Cleaning Solutions will ensure that when you take your boat back out on the water, it’ll be in pristine condition. Think of your boat as a valuable asset, hence maintaining the value of your boat with a regular valet. Your boat is usually your second most valuable investment. Therefore, keeping it clean will assist in maintaining the value. It will also extend boat carpets and upholstery life. If guests or future buyers visit, the first impression of the internal space will printed deep in their mind and may have long standing influence. Are you intending to rent out your boat for parties or events? Then you need a interior boat cleaning performed every 6-9 months. We understand how to take to care of upholstery that is regularly exposed to salt air and we will take equal care for fabric and/or leather upholstery. You can have confidence in our ability to look after your boat, yacht or launch. Book your appointment for interior boat cleaning Auckland with Alex Cleaning Solutions to coincide with your regular boat maintenance work and enjoy the fresh clean results all year round. 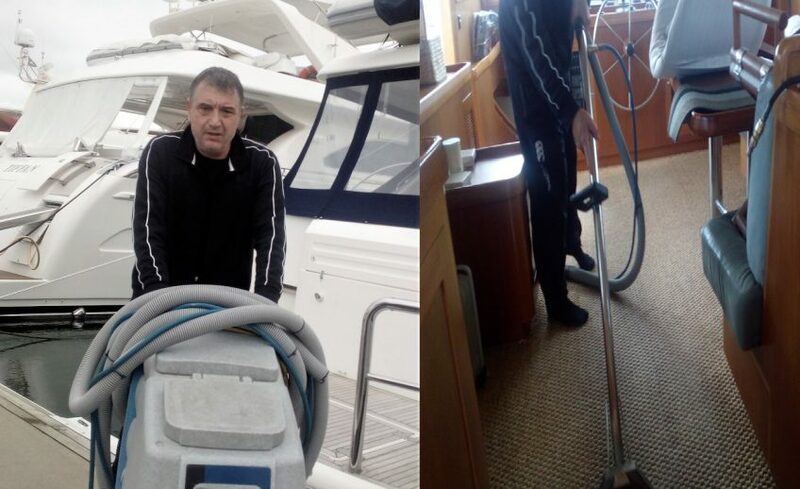 5 Reasons Why chose us for interior boat cleaning Auckland? #1 Auckland Cleaning for more than 12 years – Our mission is a 100 % customer satisfaction. Provide professional boat cleaning service using eco-friendly materials. Give a free no obligation quote and affordable pricing. Fast response and no hidden cost, with discount if done with regular boat interior cleaning or pest control. We are local small business caring for local community. Let us clean your boat’s carpets and upholstery! Take the hassle away, and complete it cost effectively. Remember: We will provide you with the highest standard of treatment using European import products. When we clean your boat interiors, not only will it look great, but will also help prevent pests and allergic reactions. The result will be outstanding and at a fair price for you.